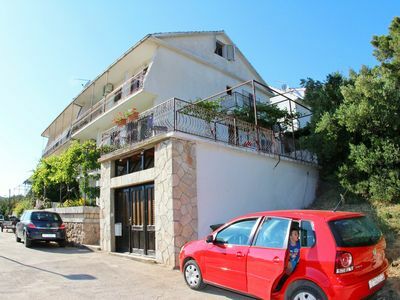 At the entrance to the city, two kilometers from the center, there is a beautiful house bordered by a wall in combination with an iron fence, which features one apartment for rent on the ground floor. 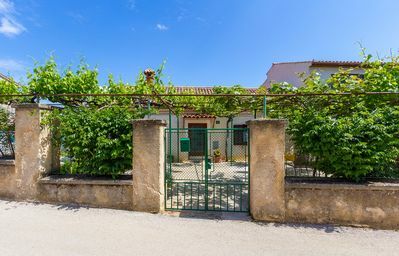 Right next to a gravel driveway, where there is enough parking space, there is a terrace with table and chairs, set in the beautiful shade of young grapes. 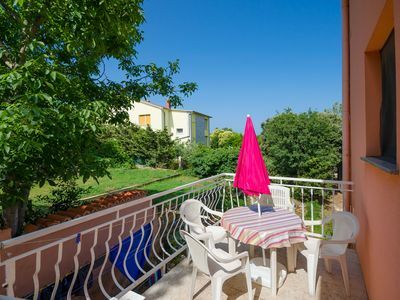 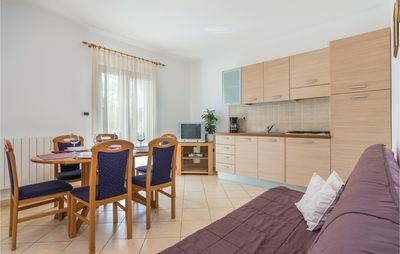 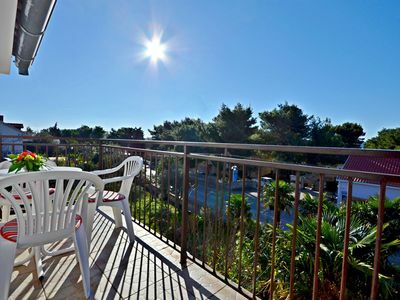 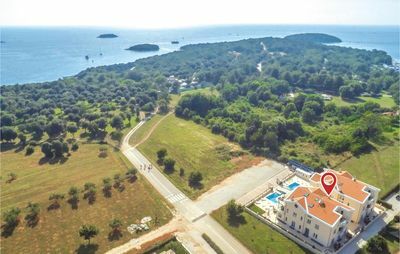 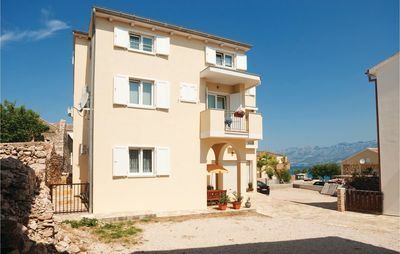 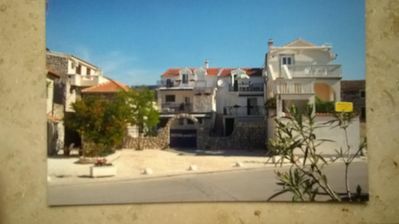 With one bedroom, living room, bathroom and an extra bed, this comfortable apartment in Pula can accommodate up to four people.